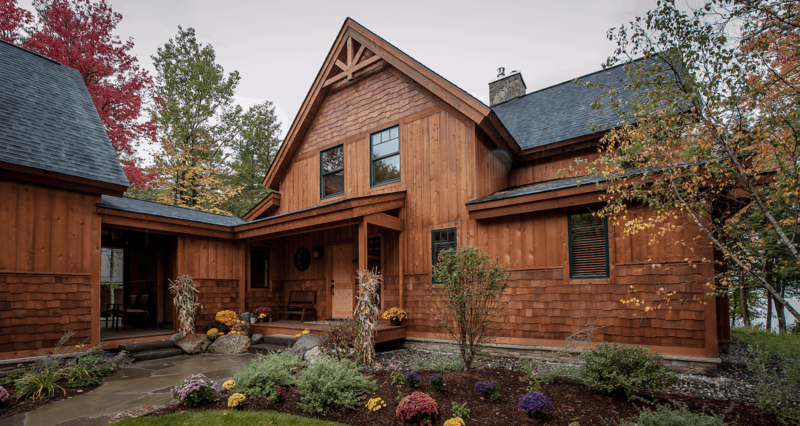 Located on the broads of Lake Winnipesaukee, this unassuming lodge style home, built by Hayward and Company, features a simple landscape with breathtaking views. 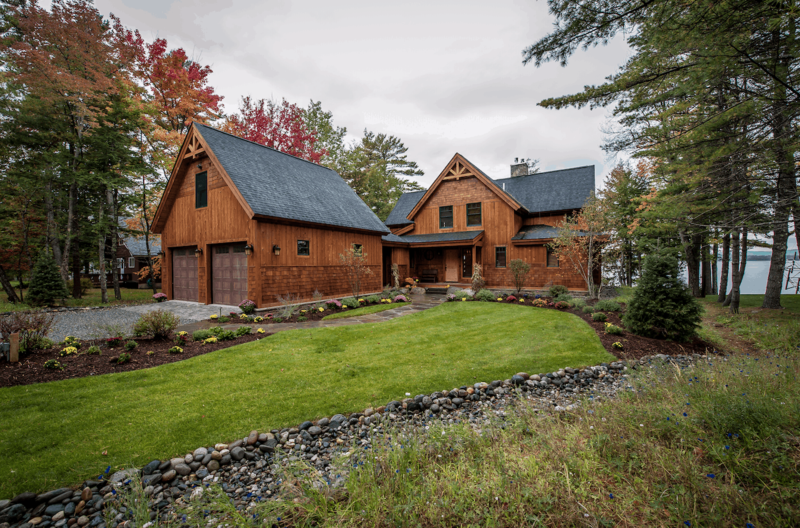 You arrive at the home via an informal bluestone driveway that beautifully complements the color and texture of the timber frame home and transitions beautifully with the lush sod lawn. 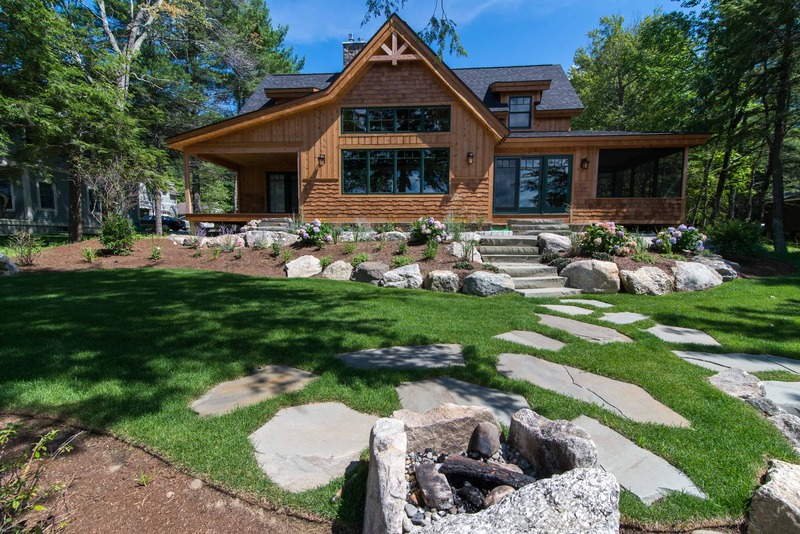 As you move closer to the home the landscaping becomes slightly more formal. A cobble tone apron defines the entry into the garage and an irregular bluestone walkway leads you to the front door. 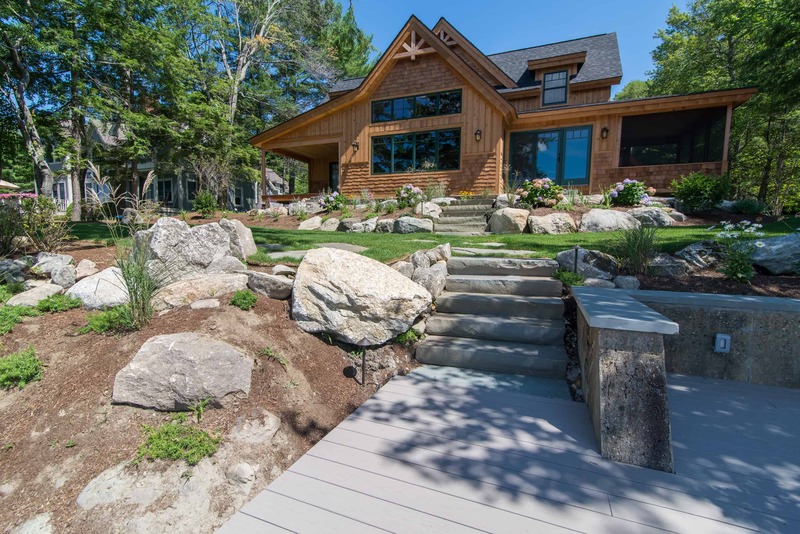 As you make your way around to the lakeside of the home, bluestone stepping stones gently guide you to a modest bluestone patio, sized perfectly for a pair of Adirondack chairs from which you can relax and enjoy the gentle rolling breeze. 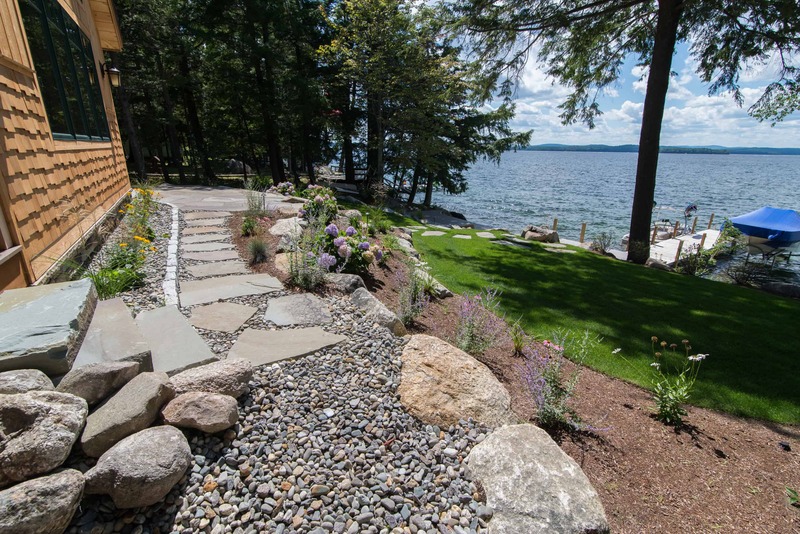 For nighttime entertainment, there is a stone slab fire pit, perfect for roasting marshmallows and sharing stories of summers past on Lake Winnipesaukee.